This summer’s study tour took place Tuesday 4 August to Friday 7 August and explored the often overlooked beginnings of the Gothic Revival in the far North of England. 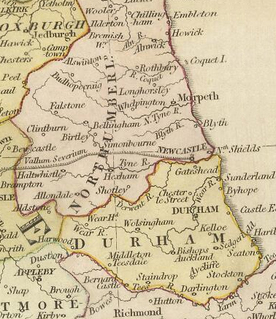 Anciently the Kingdom of Northumbria, its traditions of Anglo-Saxon monastic culture were literally built upon by the Normans in their attempts to buttress the North against Scottish incursions. Essential to this strategy were the Prince Bishops of Durham, whose combined temporal and spiritual power is manifest in their castles at Durham and Auckland. The region is especially rich in mediaeval architecture which would inspire generations of patrons to revive the Gothic style in the seventeenth and eighteenth centuries. During the former, Bishop John Cosin and his coterie oversaw an extraordinary revival of Gothic church furnishings, on either side of the Commonwealth. In the following century, successive Prince Bishops and the First Duke of Northumberland pioneered the creation of Georgian Gothick during alterations to their seats. 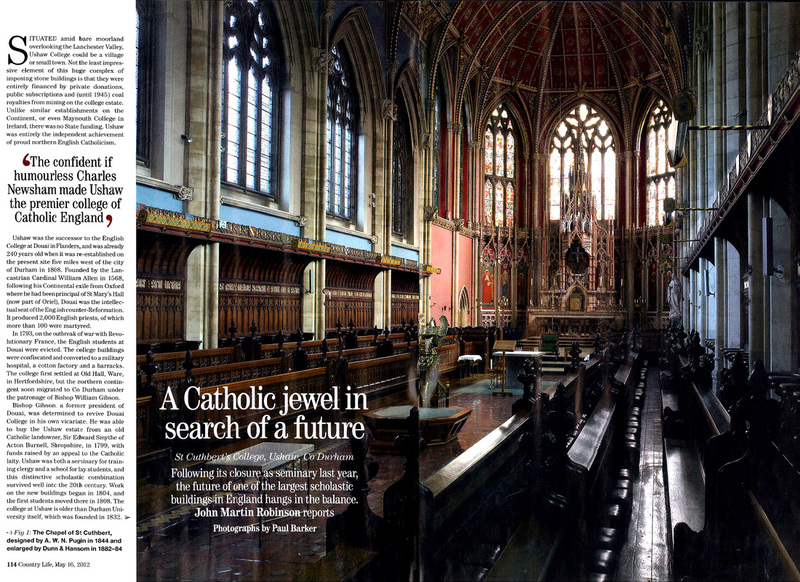 The North-East’s ancient heritage and the Gothic Revival combine in the imposing buildings of Ushaw College. Dedicated to St Cuthbert of Lindisfarne, the College’s expansion during the nineteenth century involved both Augustus and Edward Welby Pugin, supported by a host of leading Catholic architects. Led by Dr James Jago of the University of York, the Study Tour allowed the ideas underpinning the early Gothic Revival to be reassessed, with direct reference to mediaeval buildings. Focusing upon impressive and complex buildings enables the broad sweep of the Gothic Revival in all its complexities was explored, set within the ruggedly beautiful terrain of the North-East of England. • We gathered on Tuesday at 6.45 in the Senate room of Durham Castle where, after supper, there was an introductory talk on the themes of the tour. • On Wednesday the tour took in the castle and town of Alnwick; for centuries the mighty stronghold of the Earls of Northumberland. After this we were alloted free time to look round this attractive market town, with an interesting parish church and bookshop. As an alternative we were offered the opportunity to visit the famous Alnwick Castle Garden. In addition we saw two little known, but rewarding, churches: St James’s, Morpeth by Benjamin Ferry and John Loughborough, and Pearson’s St George’s, Cullercoats, spectacularly sited against the North Sea coast. In the evening we went out to dinner in Durham City. • Thursday saw us spending a full morning exploring Ushaw College, with work by both Augustus and Edward Pugin. Recently acquired by the Business School of the University of Durham, we heard about future plans to safeguard these distinguished buildings and their collections. After a break for lunch we saw St Edmund’s, Sedgefield, with its magnificent Cosin woodwork, and the rare survival of Anglo-Saxon architecture at St John’s, Escomb. We then made a private visit to Auckland Castle, former seat of the Prince Bishops of Durham, where we were the guests of Jonathan Ruffer, whose generosity saved the castle and its collections. We saw the Episcopal Chapel created by John Cosin from the mediaeval Great Hall in 1665, and the paintings by the Spanish artist, Francisco de Zurbarán depicting Jacob and his Twelve Sons. We then had dinner in the Castle. • Friday gave us the opportunity to explore the City of Durham, followed by visits to John Cosin’s Library and the magnificent Norman Cathedral. Lunch was available in the Cathedral refectory. Our accommodation was in single and double ensuite bedrooms within Durham Castle Keep, sited on Palace Green opposite the Cathedral.